Sure, it was grossly inaccurate (cavemen and dinosaurs living together!) but One Million Years B.C. was a fun B-movie romp for fans of fantasy flicks. 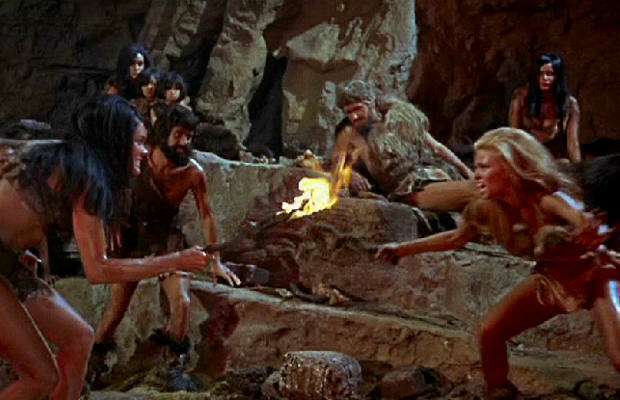 It's easy to say that the success of the movie was due to either the story or the special effects by the legendary Ray Harryhausen, but it also didn’t hurt that it featured Raquel Welch and Martine Beswick in fur bikinis throughout most of the film. And like any great movie featuring two scantily-clad females, the inevitable catfight is what really got people talking. Featuring Welch and Beswick in a battle to the death, these two cavegirls scratched and clawed at each other to the amusement of the hairy-shouldered men watching from a distance. They really knew how to live back then.